Prominent & Leading Manufacturer from Delhi, we offer pine bark extract and ipecac extract. Pine Bark Extract are evergreen, resinous growing 3–80 m tall, with the majority of species reachi ng 15–45 m tall. The bark of most pines is thick and scaly, but some species have thin, flaking bark. 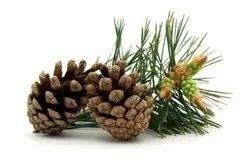 We manufacture, supply and export a wide range of Pine Bark Extract and have been able to develop a huge customer base all across the globe. The extract generated after processing has excellent healing and medicinal properties and widely used in the medical fraternity. It helps in protecting the heart and in blood circulation. 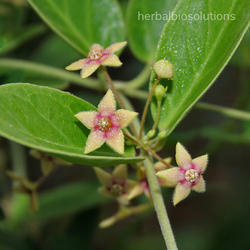 It also provides protection against degenerative diseases such as cancer, diabetes and arthritis. It aids in the improvement of athletic performance, memory and a healthy lifestyle. Moreover, it helps in losing weight, preventing and reversing Alzheimer disease as well as has anti -aging and anti -wrinkle properties. Moreover, it provides protection against varicose veins and other symptoms of chronic venous insufficiency. It also strengthens the capillaries and prevents the leakage of fluids thereby preventing edema. It also helps to improve visual acuity, provides protection against diabetic retinopathies, maculopathies and other visual dysfunctions. It also improves function, PMS and menstrual disorders. It is often used for treating Attention deficit disorder (ADD) and Attention deficit hyperactivity disorder (ADHD)and also has anti-cancer, anti -inflammation and anti - allergic properties. Shrubby plant about a foot high, found in most parts of Brazil , growing in clumps or patches, in moist, shady woods. It is also found in New Granada and in Bolivia. The plant has a slender stem, Fibrous rootlets, which grows partly underground and is often procumbent at the base, t he lower portion being knotted. Ipecacuanha roots are collected in India, during the months of January and February, when the plant is in flower and are prepared by separation from the stem, cleaning and hangin g in bundles to dry in the sun. The drug is known in commerce as Brazilian or RioIpecacuanha. The name of the plant is the Portuguese form of the native word, i -pe-kaa-guéne, which is said to mean 'road-side sick-making plant. I pecacuanha occurs in commerce as slender and somewhat tortuous closely annulated pieces, which seldom exceed 6 inches in length and 1/4 inch in thickness. It varies in color from very dark brown to dark red. The root is hard and breaks with a very short fracture. The drug has a bitter taste, but onl y a slight, rather musty odor. The chief constituents of Ipecacuanha root are the alkaloids Emetine, Cephaelin and Psychotrine. Other constituents are a crystalline saponin - like glucoside, an amorphous, bitter glucoside, which is a modification of tannin, and is known as Ipecacuanhic acid, choline, resin, pectin, starch, sugar , calcium oxalate,odorous, fatty matter and a disagreeable-smell in volatile oil. Alkaloids, Emetine and cephaline both act locally by irritating the gastric mucosa and centrally by stimulating the medullary chemoreceptor trigger zone to induce vomiting.In large doses, Ipecacuanha root is emetic; in smaller doses, diaphoretic and expectorant, and in still smaller, stimulating to the stomach, intestines and liver, exciting appetite and facilitating digestion. When inhaled, it causes sneezing and a mild inflammation of the nasal mucous membrane.Toxic doses cause gastro -enteritis, cardiac failure, dilation of the blood-vessels,severe bronchitis And Pulmonaryinflammation.